The Flynn Center for the performing arts has been at the center of Vermont's cultural landscape for almost 80 years-from its earliest days as a vaudeville house through five decades as a premier movie theater to its present incarnation as the region's leading performance center and arts education organization. Today, the Flynn Center for the Performing Arts is recognized internationally for its significant artistic, educational, and community outreach activities; superb technical capacity; beautiful ambiance; historic setting; and world-class presentations. "GlobalFest Live!" – GlobalFest, which happens in NYC each January, is one of the most high-profile world-music events in America. Now, the concept hits the road with three stellar musicians from different countries - Haitian singer Emeline Michel, Jamaican guitarist Jamaica Brushy One-String (his guitar has...well, you’ve probably figured it out), and Brazil group Casurina. "Inspired by the singing of one small boy, we formed the first African Children's Choir to show the world that Africa's most vulnerable children have beauty, dignity and unlimited ability." 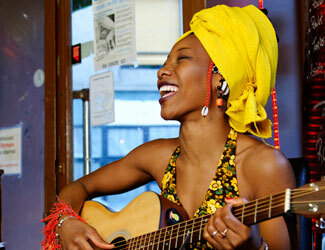 Malian singer-songwriter Fatoumata Diawara (aka Fatou) is "the most beguiling talent to hit the world music scene in some time" (Daily Telegraph). Accompanied by a smoking live band, Fatou spins high-energy jazz and funk into joyous and sensual folk-rock, inflected with the rhythms and melodies of her native Wassoulou. Her radiant voice and infectious Afro-pop mix the expansive and the understated. An unforgettable live performer who brings the music to fever pitch before exploding into the Malian didadi dance, Fatou sings of love, politics, and empowerment with "effortless melodic charm" (Financial Times). Audiences and critics in Europe and Australia agree - Cirque Zuma Zuma is unlike anything they have ever seen before. Many describe it as an African-style Cirque du Soleil; such is the standard of the performers and the quality of the show's live musical score. Like Cirque, their talent pool of 120 loyal performers has a family business kind of feel. After sell-out seasons in Europe and an extended debut run in Australia, Cirque Zuma Zuma is ready to wow audiences. 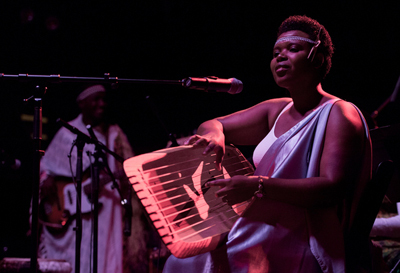 A hugely talented and charismatic singer from Senegal, Baaba Maal has emerged into the international spotlight as one of the world's great performers. His latest album, Television, is an Afro-Pop masterpiece that features collaborations with downtown New York scenesters the Brazilian Girls. Legendary composer and bandleader Chico O'Farrill is credited with introducing the Latin rhythms of his native Cuba to the bebop and swing masters of American jazz during the late 1940s and into the 1950s and 1960s. Founded in 1992 and endowed with an enormous talent for musical arrangements and tradition research, Son de Madera represents the leading success in the current Son Jarocho movement (a musical and dance genre from Veracruz, Mexico). A non-stop explosion of dance and drumming, the Royal Drummers of Burundi celebrate the rich culture of their central African nation. Hammering out all-conquering rhythms on enormous drums carved from ancient trees. Dressed in bold costumes and playing sacred drums that represent fertility and regeneration, the ensemble generates an evening of thunderous music and movement, recreating a traditional village celebration. Opening the concert is Mombasa Party from Kenya. Urban Bush Women have engaged audiences since 1984 with socially-conscious dance works based on African-American history, women's experiences and the cultural influences of the African Diaspora. The seven American women now collaborate with the seven male dancers of Senegal's Compagnie Jant-Bi in an international artistic exchange between Africa and the United States, exploring the similarities and differences in their lives, dances, countries and experiences as people of African descent. Heddy Maalem works with the body as a poet works with words - as material. Born in the heart of Algeria, Maalem's early and extensive training in boxing and Aikido continue to influence his choreography, which is marked by precision, sparse vocabulary, and clarity. Under the impetus of young Brazilian choreographer Bruno Beltrau, the nine hip-hop dancers of Grupo de Rua take the stage by storm. Like a powerful but fragile commando unit, the dancers overturn conventional codes, creating a remarkable fusion of hip-hop and contemporary dance. Angélique Kidjo's roots reach far beyond her West African homeland of Benin. The dynamic Grammy Award-winning singer, dancer, and songwriter roves across boundaries, genres and ethnicities, finding the musical connections that link every part of the world - Afro-funk, reggae, samba, salsa, gospel, jazz, Zairean rhumba, zouk, and makossa. The award-winning Children of Uganda introduce us to their rich East African heritage through pulsating drum rhythms, quicksilver movements, and songs of joy and hope. Ranging in age from 8-18 years, this troupe is composed entirely of children and teens who, like 1.7 million of their peers, were orphaned by war or AIDS. Thriving in the face of adversity, these gifted performers move and inspire students with their exuberant and infectious brand of story, song, and dance.